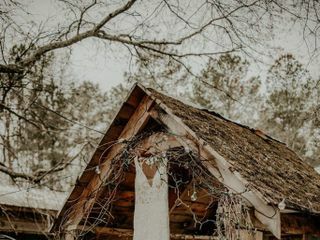 Proctor Farm is a rustic yet elegant wedding venue in Rome, Georgia. 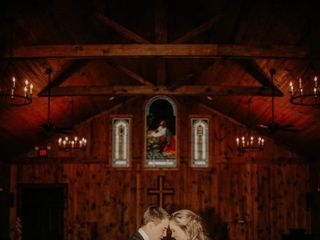 This beautiful barn and chapel area is ideal for country-chic weddings, especially for the couple who wants to be surrounded in nature on their wedding day. 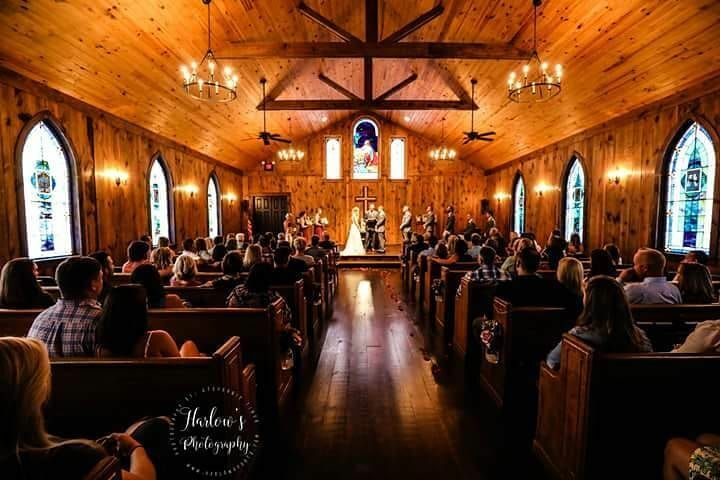 The expansive farmlands and beautiful outdoor and indoor chapel as well as the reception areas will bring elements of nature, classic romance, and a warm ambiance to your wedding event. To create the memories you and your loved ones will cherish forever, choose Proctor Farm. 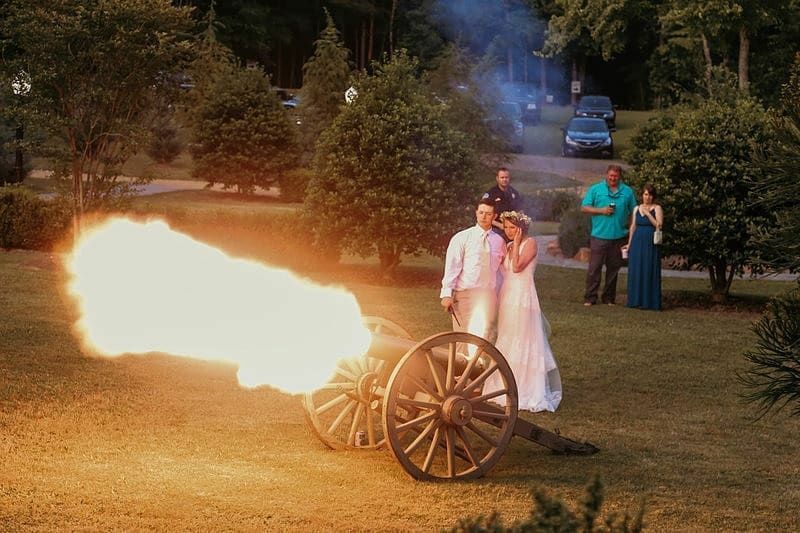 Proctor Farm offers several indoor and outdoor spaces to host your ceremony and reception. 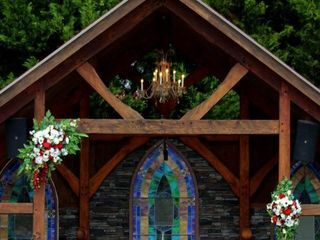 The outdoor chapel is characterized by a rustic timber frame and elegant chandeliers. It has 36 pews, a full PA system, and a vintage wedding bell to announce the beginning and ending of the ceremony. The indoor wedding chapel has a historical look, with ten 7’ stained glass windows from the late 19th century, and 20 wooden pews. 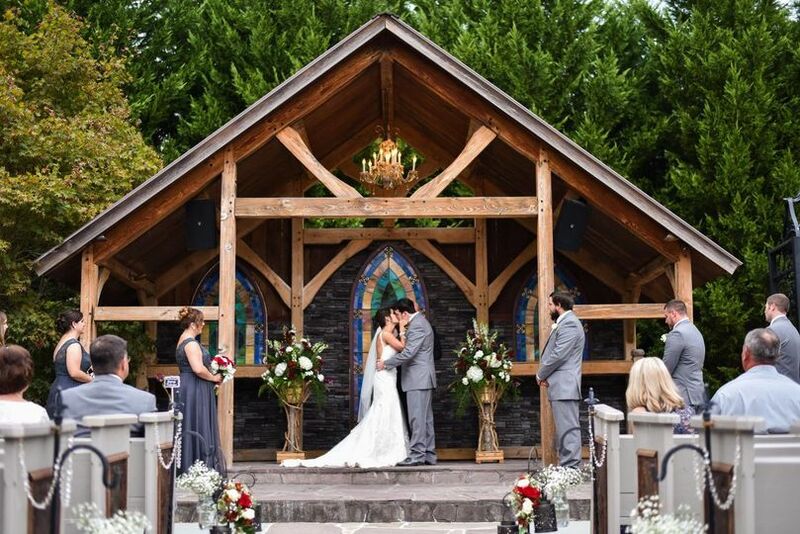 Either of these chapels or the open outdoor space can be used for your ceremony. The Barn is most commonly used for the reception. 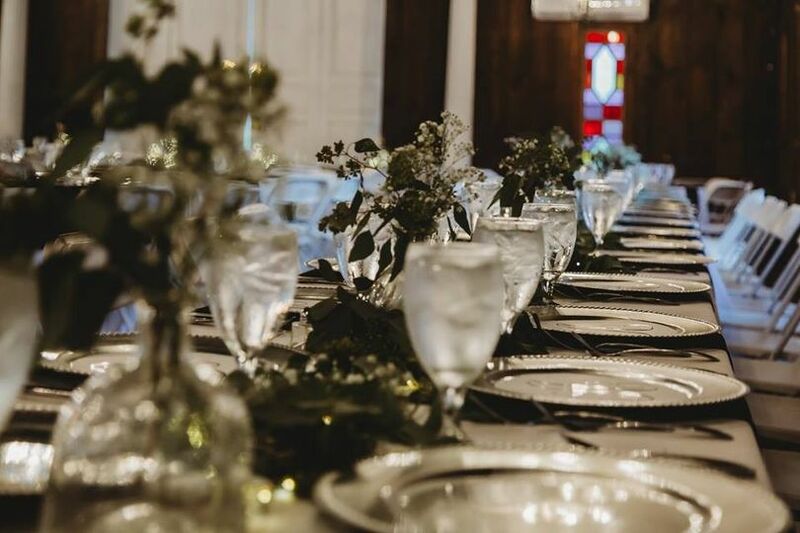 It features wrought iron chandeliers, stained glass windows, a 14’ wooden bar, and two stone fireplaces providing ambiance and vintage charm to your reception space. The barn area includes table, chair and linens preset, and a full PA system for music and announcements. The barn is primarily used for dining, while the adjacent High Lonesome Saloon is ideal for drinks and dancing as the night draws to a close. 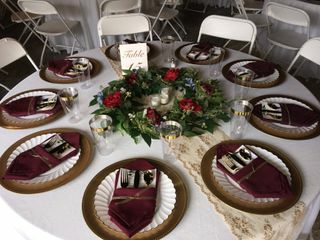 Proctor Farms strives to create wedding packages that meet your specific needs and expectations. 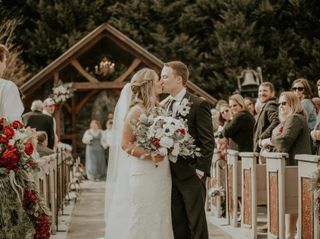 They provide couples venue access from Wednesday to Sunday (for Saturday weddings); however this does not include overnight visits or a rehearsal dinner. 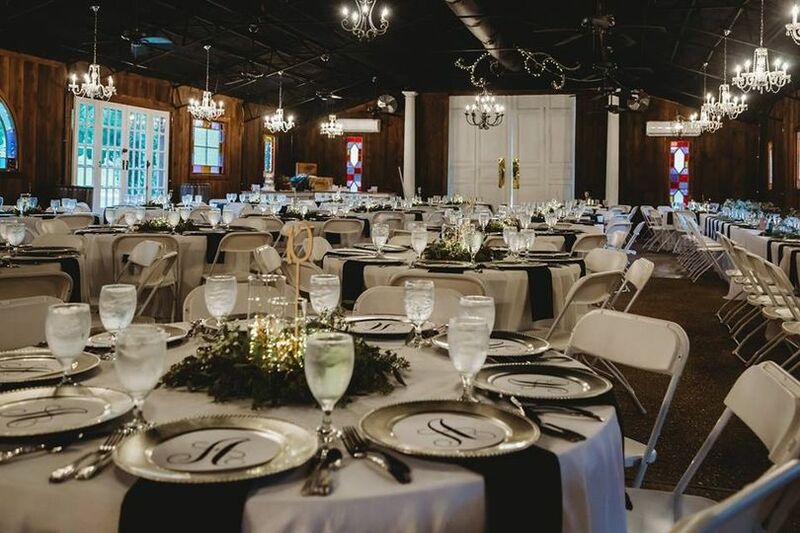 Proctor Farms offer a flat fee, providing you access to all venue space, onsite tables, chairs, linens, decorations, and professional PA system. 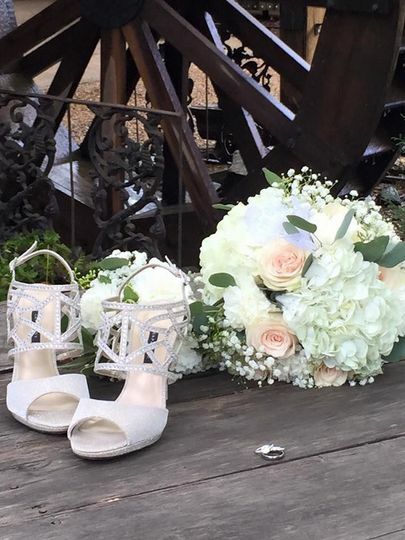 You will work with a wedding coordinator throughout the planning process, who will work with your outside vendors and ensure the wedding day runs smoothly. They allow caterers and bar staff, providing a prep kitchen onsite, however Proctor Kitchen only allows your caterer to serve wine and beer. The field makes beautiful pictures. If you are looking into Proctor Farm with the thoughts of booking, DO IT! Kathy and Michael Proctor are two of the most amazing people I have ever been given the privilege to meet. 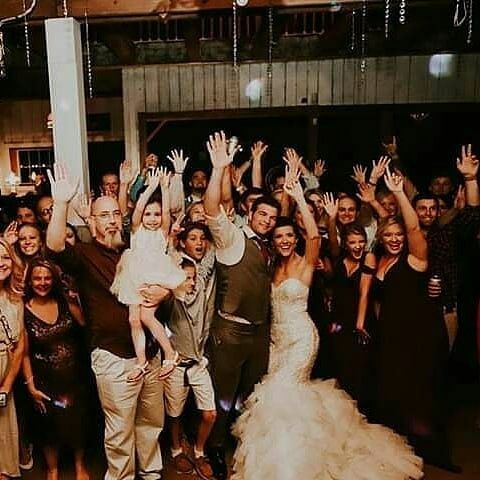 When you book, you're given the Proctors as your wedding planners, and you have the venue for the entire wedding week so that you can come decorate, drop off anything, whatever you might need to do prior to wedding day. What other venues allow you to come for the entire week? 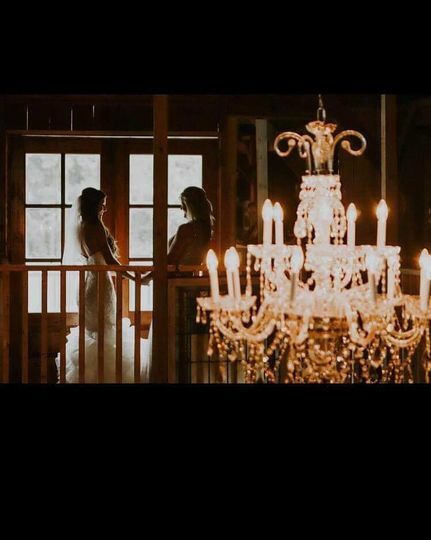 Not only is the venue gorgeous, but what you see is what you get! Anything the Proctors have in their possession, they will let you move, use, etc. 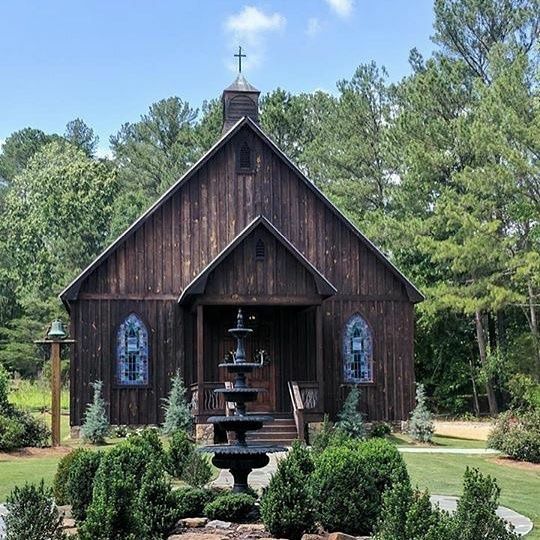 You have the option of an outdoor ceremony, but if the weather isn't permitting, then they have a hand built chapel steps away from the outdoor venue. Rain or shine, your wedding will be flawless. You can go to the venue at any time in between booking and your wedding, as long as the Proctors give you the approval. Personally we went about 5 times prior to wedding week. Our wedding was October 15, 2016 and I can honestly say Kathy & Michael made sure that day was nothing less than perfect for us. I HIGHLY recommend Proctor Farm, and can confidently say you will not be disappointed in your decision. Had my wedding here March 16th & it was AMAZING. I love the venue but I also love the owners! Kathy & mike go above and beyond for their brides. I’m so blessed to have found them & their place. My wedding day was more than I could’ve even imagined. I would recommend them to anyone! There’s lots of pretty venues but proctor farms has something special. & you get two of the sweetest people to help make your day great. We have worked at Proctor Farm numerous times and the experience is always beyond fantastic! They are always checking in to make sure everyone is comfortable and has what they need. They are more like a family than a venue, genuinely caring about each person as a guest. Aside from the wonderful treatment, the grounds are absolutely gorgeous and unique.